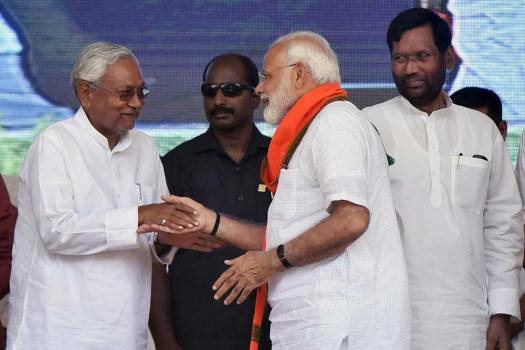 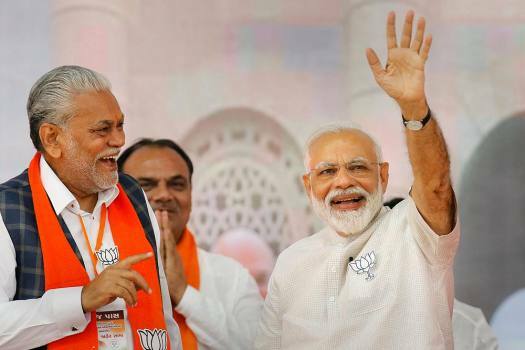 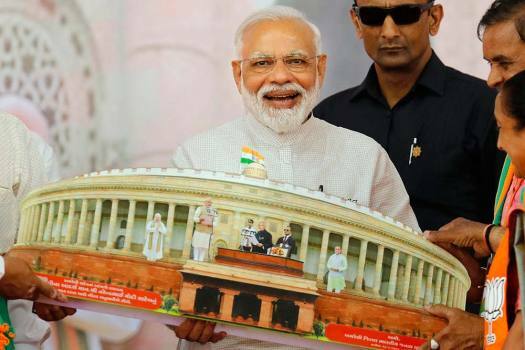 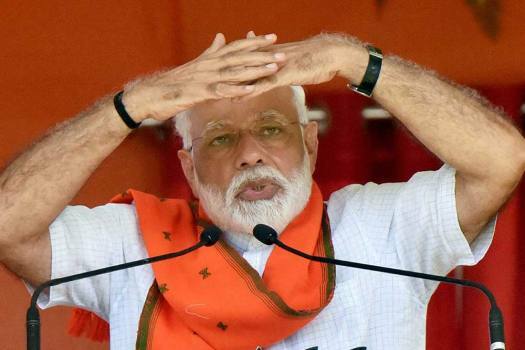 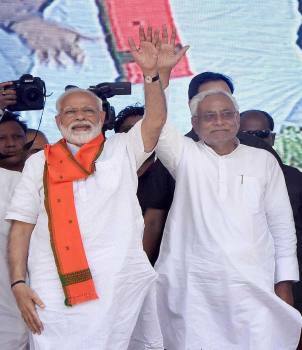 Prime Minister Narendra Modi and Bihar Chief Minister and Janta Dal United President Nitish Kumar during an election rally at Araria lok sabha constituency, in Forbesganj. 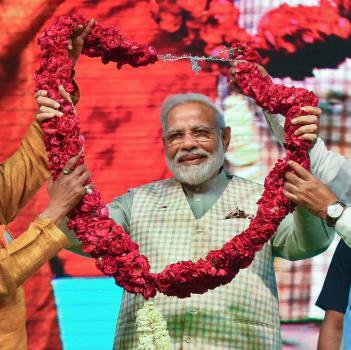 Prime Minister Narendra Modi being garlanded at 'Traders Sammelan' at Talkatora Stadium, in New Delhi. 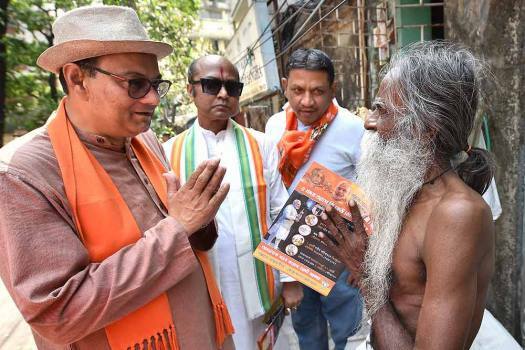 BJP candidate and Netaji Subhas Chandra Bose's grand-nephew Chandra Kumar Bose interacts with an elderly voter during his campaigning for the Lok Sabha elections, in Kolkata. 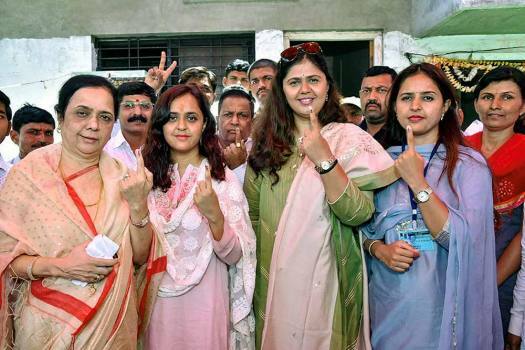 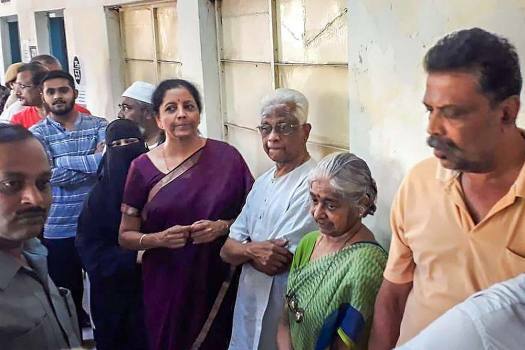 Union Defence Minister Nirmala Sitharaman stands in a queue to cast her vote during the second phase of the general elections, at a polling station, Jayanagar in Bangalore South. 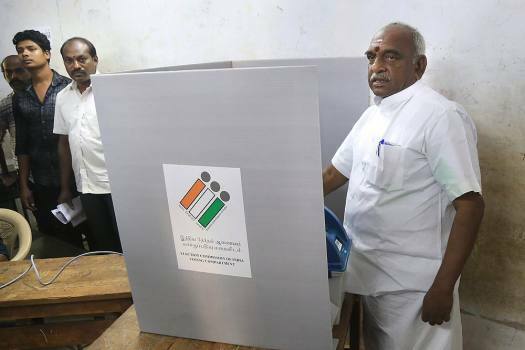 BJP candidate and Union Minister Pon Radhakrishnan cast his vote during the second phase of the general elections, at a polling station in Nagercoil. 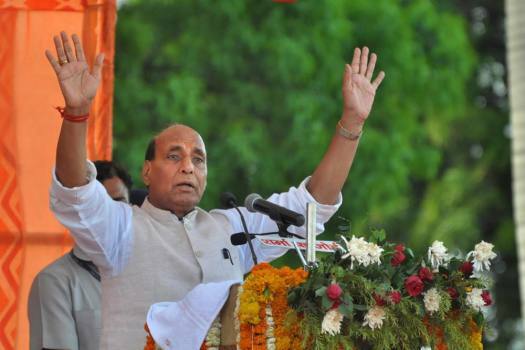 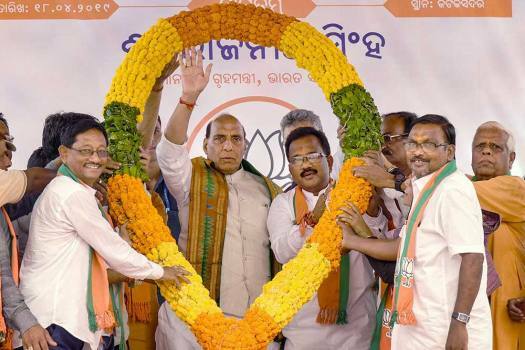 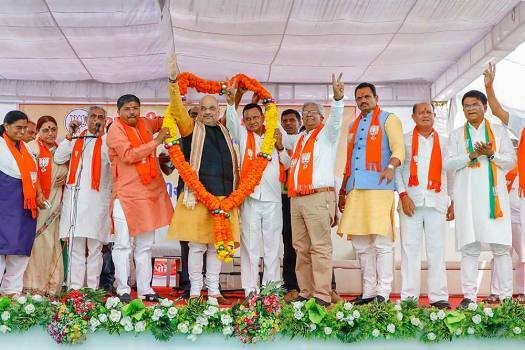 Union minister and senior BJP leader Rajnath Singh addresses an election campaign rally for the Lok Sabha polls, in Moradabad. 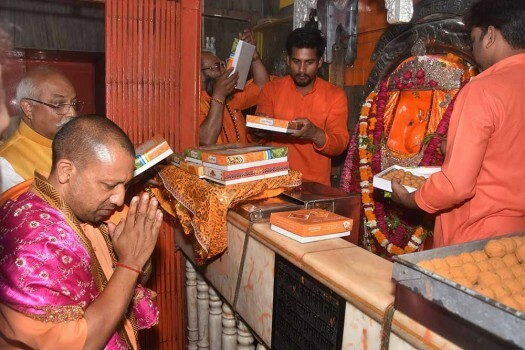 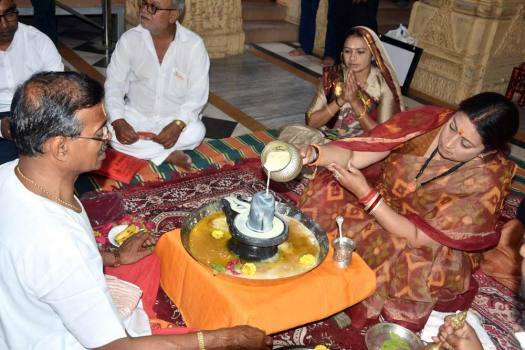 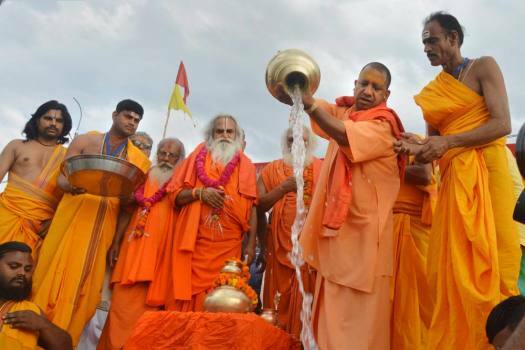 Uttar Pradesh Chief Minister Yogi Adityanath performs rituals at the bank of Sarayu river, in Ayodhya. 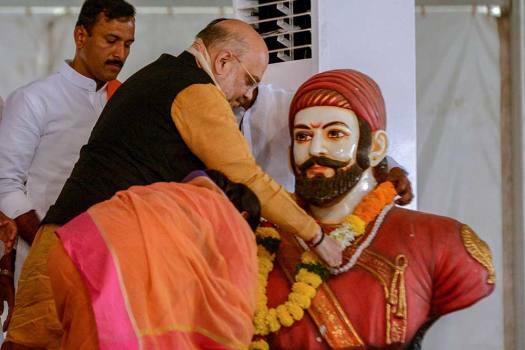 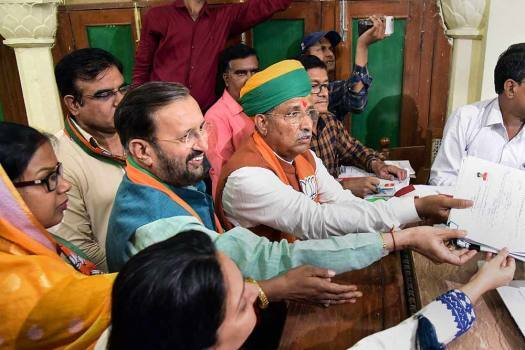 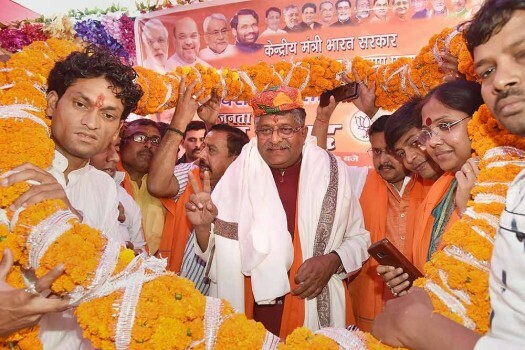 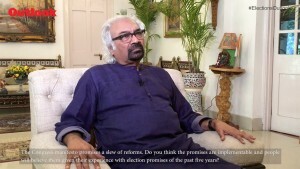 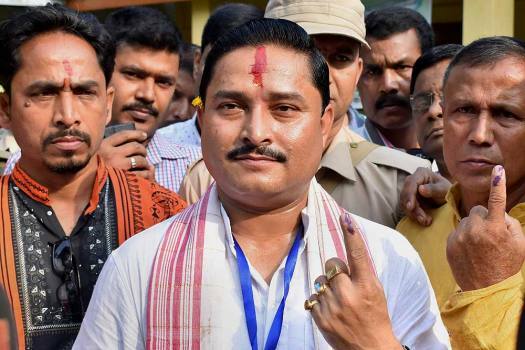 In a video which has gone viral on social media, Maurya is seen addressing party workers at an election meeting and asking them to cast votes of those not present on the polling day.